Limit 1 per person and 1 per transaction. Valid toward products. Full value of Gift Certificate must be redeemed in 1 transaction. 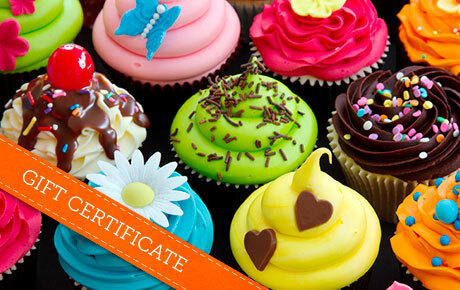 Be the life of the party with 50% off a $20 Gift Certificate to YB Ice Cream and Pastries in Schaumburg. This bakery and sweet shop offers a variety of goodies that will satisfy any craving. Mark Patel, owner and master pastry chef of YB Ice Cream and Pastries, recently opened up shop to bring his superior artistry to the Schaumburg community. His beautiful, creative and whimsical designs are sure to make anyone smile. Come in for a scoop of ice cream, or take a delicious cake or pie to your next event. The pastries and cupcakes make the perfect addition to birthday parties and other special occasions.